Mozart’s Bassoon Concerto, Part 17. Applying Vibrato. This is a discussion of applying vibrato to the Concerto and Other Music. Varying vibrato to change musical character. Performances by Igusa and Ewell included. By Terry B. Ewell, Bassoon Digital Professor. BDP #228. With Elaine Ross, piano. www.2reed.net. 1. Welcome, this is Terry Ewell. Well, this will be the last video centered on vibrato in the Mozart Bassoon Concerto. In this video, I will present the application of vibrato, that is, when and why it should be used. Please view the three prior videos in the series for the background material needed for this video. 2. The sound of the bassoon easily blends with other instruments. When performed with cellos, the bassoon mixes well with their sounds. For example, see how Mozart, in his Symphony no. 35, doubles the bassoons with the cellos and basses. The bassoon here is not treated as a woodwind instrument, rather as a reinforcement of the strings. This melding of tones is best done without vibrato here. 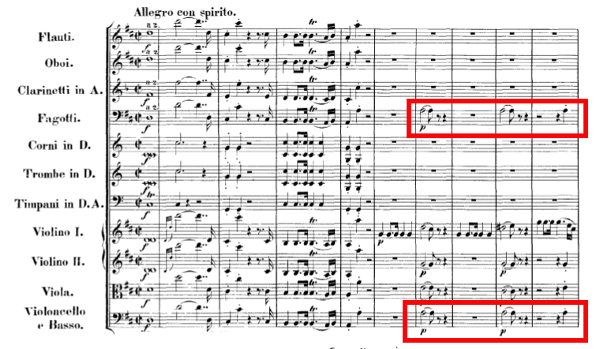 Example cellos/bassi Mozart Symph. 35 opening. 3. Likewise, the bassoon can blend with brass instruments and provide added sound in the bass registers. 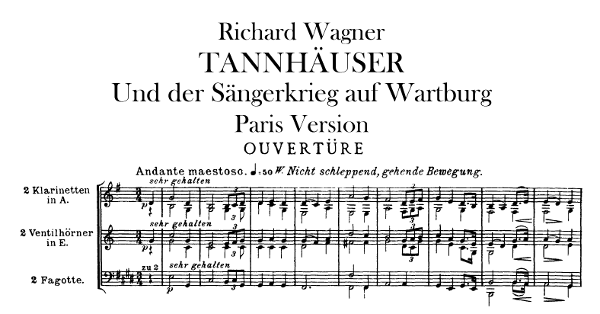 Here is an example from Wagner’s Tannhäuser overture. 4. Similarly, there are times in the Mozart Bassoon Concerto where I employ little or no vibrato. In the tutti sections the bassoon is not the focus, rather, the bassoon should blend with the cellos and basses. 5. One thing, however, that helps the bassoon to distinguish itself from other instruments is to add vibrato. For solo portions of the concerto, this is a particularly useful way to bring out the bassoon part over the rest of the orchestra. 6. There are basically two ways in which vibrato is applied for bassoon performance today. First, it is an expression of tone color. A consistent vibrato thus becomes a component of the sound of a bassoon. Today, we expect a bassoon to be performed with vibrato much as we expect vocalists to sing with vibrato. Second, vibrato is a means of expression. This is an aspect of vibrato that is often missed in performances. Changing the speed or amplitude of vibrato can be a very important expressive device. 7. In the last video, I presented vibrato drives as a means of practicing flexibility and control over the vibrato mechanism. Once mastered, vibrato drives can be applied to musical phrases as means of expression. I find that varying the speed of the vibrato is a great way to express different emotions. 8. In the 3rd movement, in the minor section, I use a faster vibrato with a quieter dynamic to indicate agitation. 9. Practice projecting different moods. For instance, a strong, vibrant vibrato that is not too fast can indicate heroism or self-confidence. This is quite appropriate for the solo opening in the 1st movement. 10. Romantic feelings can be expressed through a vibrato full of nuance, always slightly changing, never regimented. This is appropriate for the opening of the solo in the second movement. 11. A more jovial, less driving vibrato is appropriate for the start of the solo in the third movement. 12. It is important for performers to seek a broad range of emotions. Vibrato is an important aspect of that expression. 13. I have discussed the application of vibrato in some of my prior videos, which you might also find helpful to view. I discuss when to use vibrato in the Nielsen Quintet, BDP #82. In the video “Music in Motion,” BDP #100, I demonstrate how vibrato drives can shape the music toward musical goals. Last of all, my videos on Weissenborn Study #35 may be useful as well (BPD #143a and 143b).